If you are not deadlifting, you are leaving a lot of muscle gain on the table. Deadlift is the king of weightlifting exercises. If you want to build big muscles, you need to lift heavy weights. Deadlift allows you to lift the most weight you can. No other exercise competes. Deadlifts strengthen your spinal erector muscles. Having strong muscles around your spine is your ticket to an impressive physique. Good early training shows up in the muscles around the spine. 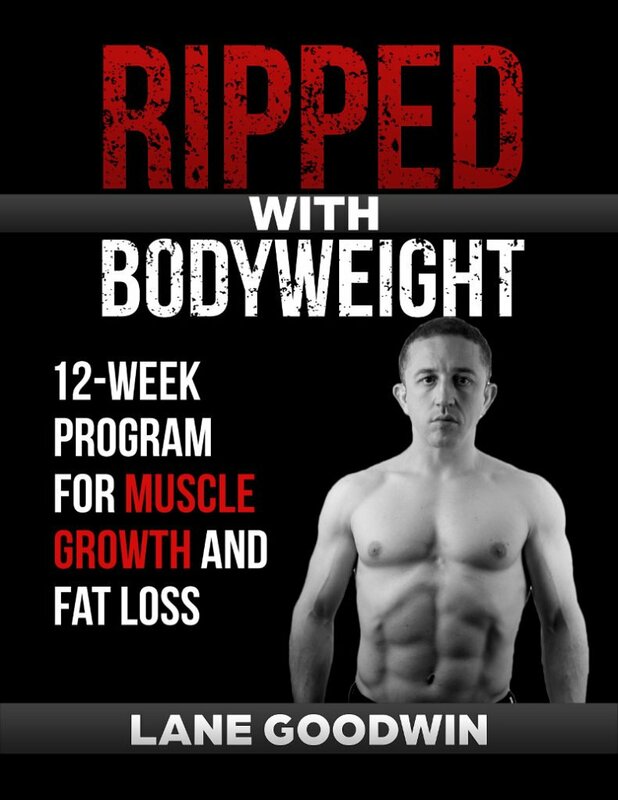 There is really no exercise for those muscles; their development is just an indication that you have put in some heavy ground work, heavy squats and heavy deadlifts, a lot of lifting and rowing. I had done these exercises from the start. I developed strong basic muscles which gave me the powerful look people wanted to see. Moreover, deadlifts save you time. Heavy deadlifting will train multiple muscle groups in your body at the same time. You will train the most muscles at the least time possible. Because of this, the deadlift is one of the most important tools on a lazy man’s way to build muscle. If you are not deadlifting, you are missing out. Period. Yet, few men in the weightlifting room do deadlifts, mainly because of fear. Most people are afraid that deadlifting will injure their spine so they skip deadlifts altogether. They are afraid that their spine will crumble, discs on their spine will start sliding left and right. Your spine is not that frail. Your ancestors killed mammoths and you are afraid to pick up a heavy weight from the ground? Give me a break. Time and time again, it is the people who buy into the idea that their back is structurally unsound who get a case of “fraidy cat back” and react to every challenging stimulus as though it were a lumbar cataclysm — they fear and loathe their own backs. It is those who have some confidence that their spine is basically a sturdy structure who are relatively immune to stressful incidents. It can take an enormous amount of de-programming to convince people that their backs aren’t actually fragile, disaster-prone structures. Mental habits are incredibly strong, and all the more so under stress. When we are in pain, we are likely to revert to the most familiar thought patterns. This is why I place such a strong emphasis on the “mind game” in low back pain treatment. It’s not that back pain is “all in your head” — it’s not; there absolutely is pain in your back — but it is very much affected by what’s in your head. 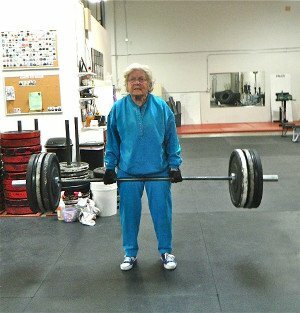 Look at these cute little older ladies deadlifting like a boss. All of them are over 60 and they are osteoporosis sufferers. Yet, they are not afraid to deadlift. If you are a healthy man afraid to deadlift, you should be ashamed of yourself. There’s no substitute exercise for deadlifts. Practice until you are confident with your form, which is easy to do, and start reaping the benefits of this terrific exercise.